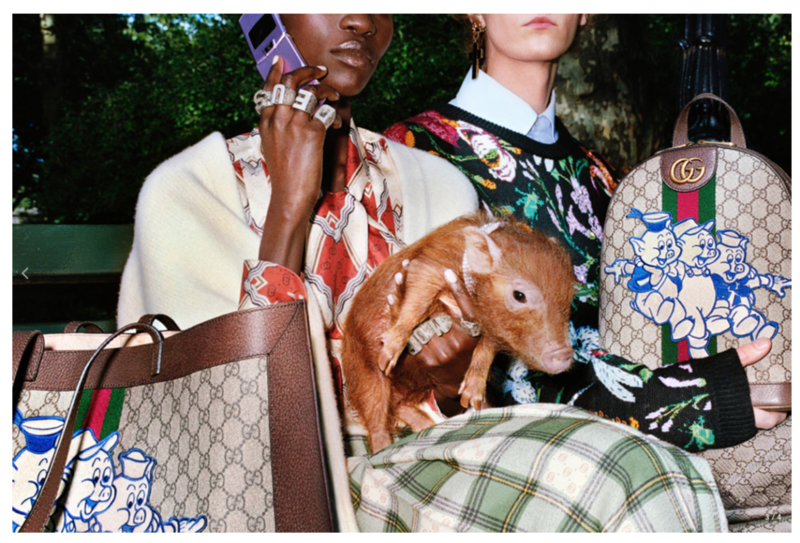 The Year of the Pig is upon us and to commemorate the start of the new Chinese calendar, luxury, street, and sportswear brands alike have come out with dedicated new releases. Here to separate the quick cash cows from the prized pigs of the latest output, we’ve rounded up our very favourites of the new CNY-specific apparel, accessories and sneakers. Ahead of celebrations on February 5, everything from mass-collaborations with BAPE, Brain Dead, Noah and more from Dover Street Market New York to a luxe new Air Jordan 12 colourway, and dedicated lines from luxury fashion houses Gucci and Louis Vuitton, 2019’s offering includes some of the best yet. 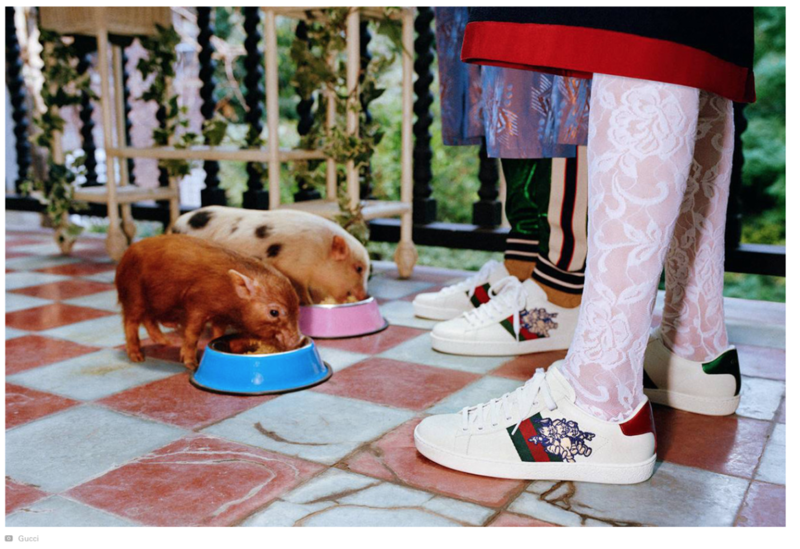 Gucci’s Chinese New Year offering goes the whole hog, comprised of pig-inspired knitwear, jackets, bags, and even sneakers. Highlights from the line include GG-adorned accessories which use an original 1933 illustration of Disney’s “Three Little Pigs” as its graphic embellishments. Meanwhile, a colourful dancing pig shimmies on tees and sweatshirts and a flying pig can be seen on knitwear and a shiny brooch. 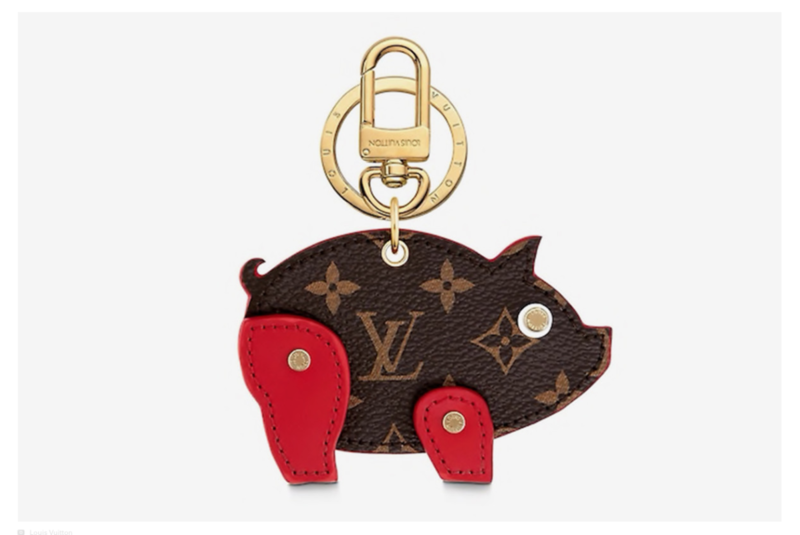 After eye-catching offerings such as its thigh-high Archlight boots and Master & Dynamic headphones of late, Louis Vuitton is offering pig-shaped key-chains and bag charms fashioned from exotic skins and treated leather for Chinese New Year, priced just short of $500. 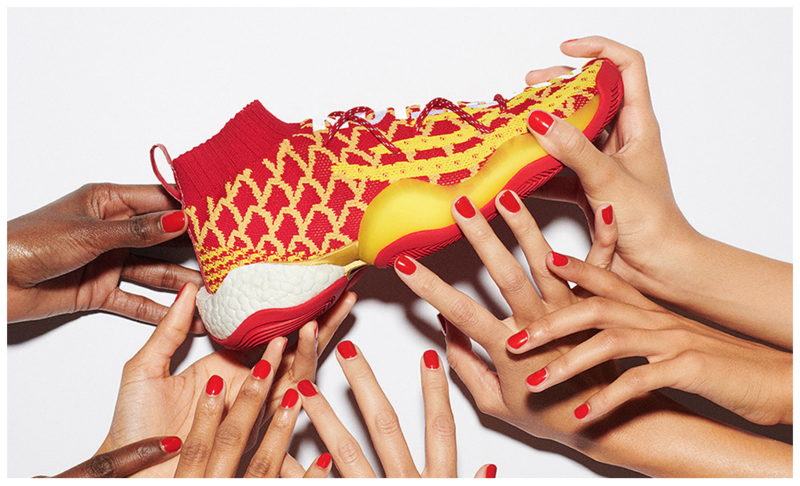 Adidas and Pharrell have collaborated on a new Hu pack for Chinese New Year. The pack consists of the SolarHu Glide and the BYW, both of which draw inspiration from Chinese colour symbolism with predominantly red uppers and gold accents — a scheme that is symbolic of good fortune and happiness in the new year. 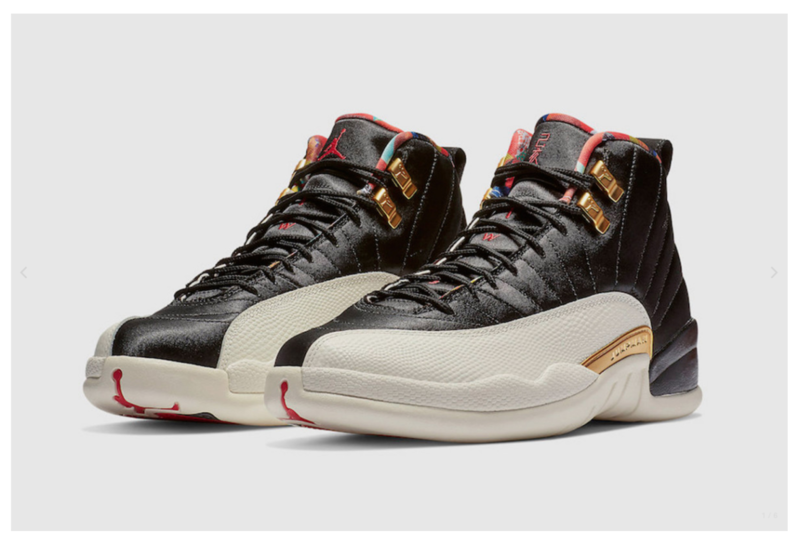 Jordan Brand is seeing in Chinese New Year with a brand-new Air Jordan 12, honouring the impending Year of the Pig with pigskin leather overlays and super luxe detailing such as quilt-like multicoloured lining, Chinese characters of the left shoe’s tongue and metallic gold accents add to the luxurious finish of the kicks. Dropping February 5, early iterations are already circulating at StockX. Authentic vintage jersey and apparel brand for the MLB, NFL, NBA, NCAA, and MLS Mitchell & Ness is commemorating the new Lunar Year with an exclusive capsule including tanks, tees, shorts, jackets, and hats. 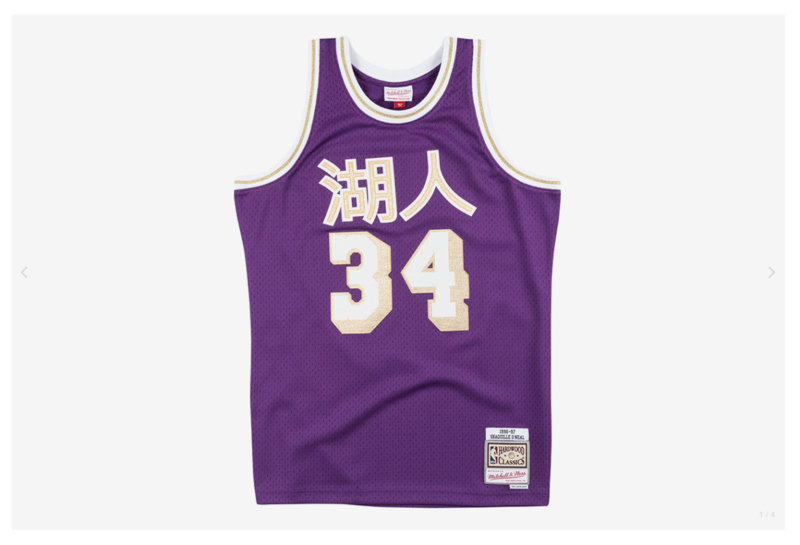 Each of the jerseys come with a unique character translating the corresponding NBA team names, retailing for $140. 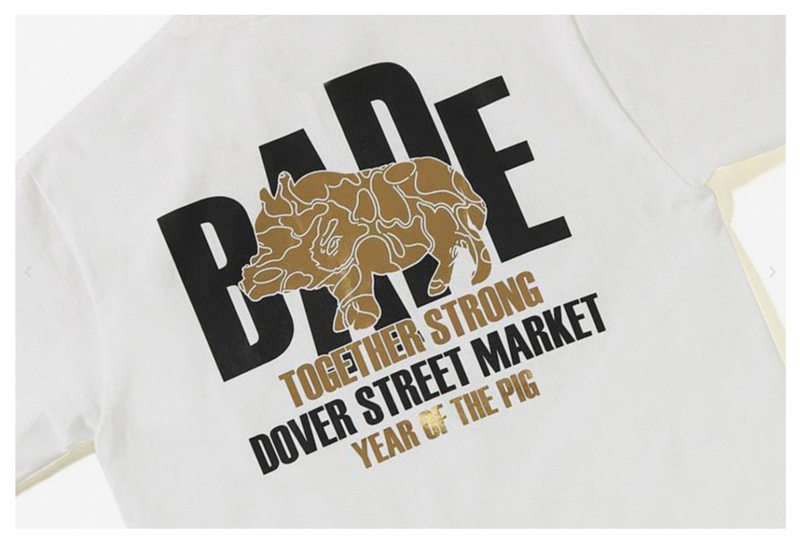 Following last year’s slew of collaborations for the Year of the Dog, Dover Street Market New York has called on its go-to brands and names for a T-shirt capsule in honour of the pig. Collaborators this time around include BAPE, Noah, Doublet, BetterTM, and Australian musician Nick Cave, along with newbies Brain Dead, Awake, Clot, and more. Let us know your favourite piggy piece, down in the comments!